The main light source for this cartoon is from the night sky. Perhaps the moon is out, casting its pale, cold light onto the scene. You can see the pale blue highlights on the distant Judean hills & the edges of rocks outside & inside the cave. The other light source is the warm flickering camp fire, in the middle of the scene. Notice the yellow/orange highlights on the figures, animals & surrounding cave rocks. Donkey, ewe & lambs, Trident Bats, Rock Hyrax. 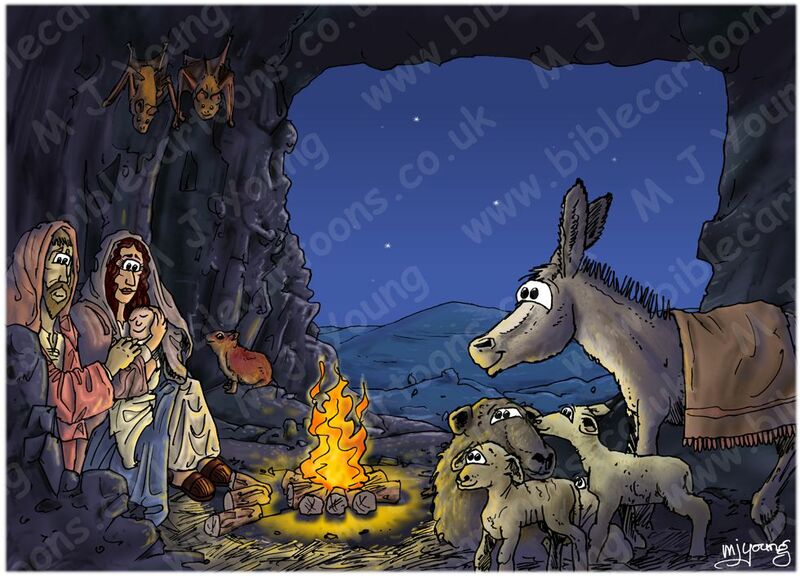 This scene shows Mary holding the newly born Jesus, with Joseph close by on the left. Various domestic & wild animals are watching. I found a very dramatic cave photograph on the internet which forms the basis of my design, although the cave in that photograph was very much larger than the one I have drawn. 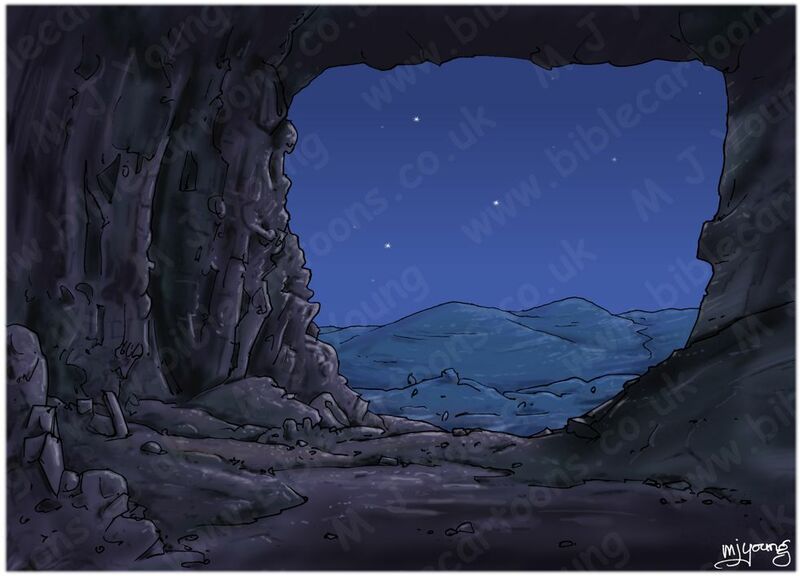 Without the figures & animals though, there is nothing in the scene to show scale, so the cave could be any size really! 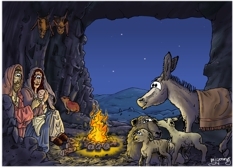 I really enjoyed drawing & colouring up the cave, animals & figures in this scene.